envious of (I sure am – and will be blogging about it soon!). So this is for her and anyone else who wants to optimize their path to success. Look, I preach failure. I do. I believe that one has to fail their way to success, in fact its the only sure fire way to achieve it — by learning from your failures. There is no innovation without failure. Failure is not something you avoid! Its something to embrace. I like encouraging my clients to hold Failure Friday get togethers… grab a pizza, some beer and wine – invite the team to join you and invite other teams at your organization to participate. 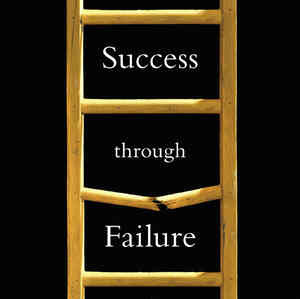 Go thru the week’s successes and failures… spend 10 minutes on the successes, then delve into the failures. Figure out as a team why it didn’t work, and what you can learn from it. How would you do it differently? Having outside teams there are critical because they can give you a non-rose colored glasses perspective…they can look at your failures and give you truly objective insight into how to do it differently. And most importantly, you have to make these celebrations of failure. If you find you and your team headed to beating yourself up over them, then you’re headed in the completely wrong direction. Mitch Ditkoff who blogs on innovation, has collected some useful quotes on the value of failure…. share them with your teams.